Wärtsilä and PGS Geophysical AS have signed a service agreement that makes Wärtsilä the preferred service supplier for engines and other Wärtsilä equipment. 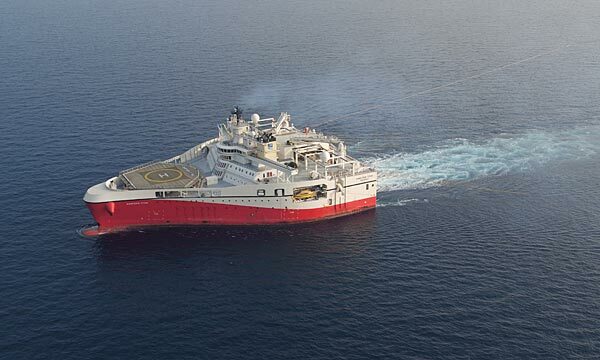 According to the agreement, Wärtsilä will take care of the maintenance of engines and propulsion systems on board PGS’s fleet of 8 seismic vessels, securing maximum uptime as well as safe and economic operations. PGS’s seismic vessels are used for mapping and analysing the subsurface beneath the ocean floor for oil and gas exploration around the world. The 3-year-agreement was signed in December 2016 and it includes an option for two extra years. In the first phase of the contract Wärtsilä will optimise the operations and maintenance of the Wärtsilä engines and propulsion systems installed on board PGS’s vessels. This allows PGS to optimise its operational costs over the lifecycle of the vessels. Four of the PGS vessels are also connected to Wärtsilä’s Condition Based Maintenance solution (CBM). The CBM balances safe operations with optimum engine performance and extended times between overhauls. Automatic transfer of data from the installations to the CBM centre enables online monitoring and troubleshooting of the engines on board. Wärtsilä analyses the data and provides advice on the optimisation of operating parameters as well as preventive maintenance recommendations. In the second phase of the contract Wärtsilä and PGS will identify how PGS can utilise Wärtsilä’s digital solutions to further secure maritime uptime and minimise risk and costs. “We are very proud to announce this new cooperation that makes Wärtsilä the preferred partner for PGS. Ensuring the availability and reliability of a large, globally operating fleet requires a wide service network, which we are able to offer. With Wärtsilä’s advisory service and support, PGS is able to concentrate on what they specialise in – offering seismic services for their customers,” says Hans Petter Nesse, Director, Service Unit Norway, Wärtsilä Services. PGS operates globally from the company headquarters in Oslo, Norway. The company provides 3D images of the subsurface that oil companies use to find oil and gas reserves. The company provides a broad range of seismic, electromagnetic and reservoir services, including acquisition, imaging, interpretation and field evaluation. “Marine geophysics is a highly specialised and technology-driven area, and the reliability and safety of our fleet is essential, as it ensures that we can deliver these services, as promised, to our customers. We are confident that we in turn can rely on the maritime solutions and expertise of Wärtsilä. We are looking forward to the coming years of fruitful cooperation,” says Håkon Matheson. Global Sourcing Manager PGS Geophysical AS.